So excited. My kids love all movies that star animals but especially dogs. They have seen all of the Beethoven movies and can't wait to see this one. SYNOPSIS: Get ready to howl with laughter in this all-new family comedy starring America's favorite St. Bernard, the one and only Beethoven! After a doggone disaster of a movie shoot, the big-hearted pooch and his trainer, Eddie (Jonathan Silverman, Beethoven's Big Break), are heading home when they get stranded in a small coastal village. When Beethoven befriends a local boy (Bretton Manley, Ted), he helps him find a pirate map to lost treasure and together they em-bark on an adventure that brings the whole town together. Co-starring Morgan Fairchild (Flamingo Road), Kristy Swanson (Buffy the Vampire Slayer), and Jeffrey Combs (Re-Animator), it's a heartwarming "tail" about finding fun wherever your nose leads you. 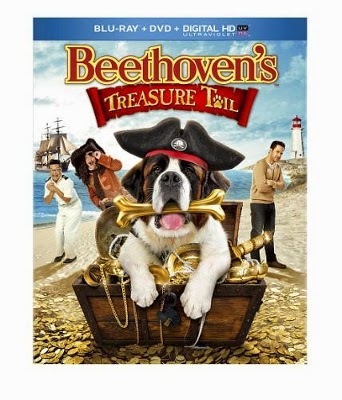 Produced by Universal 1440 Entertainment, the production arm of Universal Studios Home Entertainment, Beethoven's Treasure Tail debuts on Digital HD on October 14, 2014, and on DVD and Blu-ray™ Combo Pack with DVD, Digital HD & Ultraviolet™ on October 28, 2014. About Universal Studios Home Entertainment The Universal 1440 Entertainment banner develops and produces live-action and animated productions directly for the home entertainment, television and the stage. 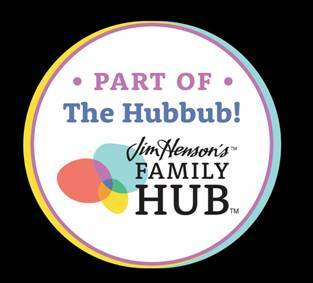 Since its formation in 2005, the group has assembled an exceptional roster of animated family fare, including the brand-new animated feature-length home entertainment release The Little Engine That Could; the Daytime Emmy®-winning "Curious George" television series on PBS KIDS; and a string of hit Barbie movies, based on the world-renowned Mattel-branded doll. The group also has successfully built upon some of Universal's highly celebrated live-action franchises, most recently launching the Tony Award®-nominated hit touring stage production Bring It On: The Musical; the adrenaline-fueled actioner Death Race 3: Inferno; and the latest in the terrifying suspense saga Curse of Chucky. Projects currently readying for release include the all-new home entertainment features Scorpion King 4: Quest for Power, Dragonheart 3: The Sorcerer's Curse and Jarhead 2: Field of Fire.